When you save your video you can choose the quality of the encoded video with the “Quality” menu. You can choose by the following options: HQTV, HDReady, HDFull, HDTV. Lowest: 320 width 240 height at 350Kbps. Medium: 640 width 360 height at 500Kbps. Highest: 858 width 480 height at 650Kbps. Lowest: 320 width 240 height at 350Kbps. Medium: 640 width 360 height at 500Kbps. Highest: 1280 width 720 height at 1500Kbps. Lowest: 320 width 240 height at 350Kbps. Medium: 640 width 360 height at 500Kbps. Highest: 1920 width 1080 height at 2000Kbps. Lowest: 320 width 240 height at 350Kbps. Medium: 640 width 360 height at 500Kbps. Medium(2): 858 width 480 height at 650Kbps. Highest: 1280 width 720 height at 1500Kbps. Highest(2): 1920 width 1080 height at 2000Kbps. 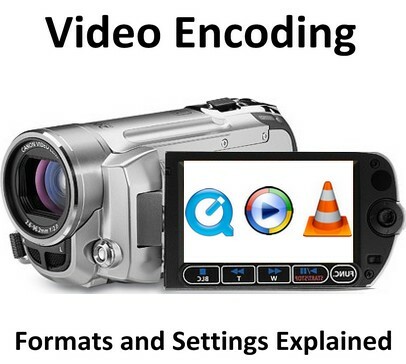 The 240p lowest video encoding profile is always available for mobile and/or metered connections, or in situations when bandwidth is most important than other things. The 360p is considered the low quality profile. The 480p is called TV quality profile. 720p and 1080p is for video HD ready and/or full. A digital watermark is a kind of marker covertly embedded in a noise-tolerant signal such as an audio, video or image data. It is typically used to identify ownership of the copyright of such signal. “Watermarking” is the process of hiding digital information in a carrier signal; the hidden information should, but does not need to, contain a relation to the carrier signal. Digital watermarks may be used to verify the authenticity or integrity of the carrier signal or to show the identity of its owners. It is prominently used for tracing copyright infringements and for banknote authentication. When you impress the Digital Watermark inside your content, there’s no way to remove it. The encoding is important to let the viewers watch the videos without lags or buffering; the most you want quality and the most the loading of the video is slow. This factor depending on the connection speed of the viewer. Once selected, you cannot turn back and choose another quality. These options depends on the original video resolution. The thumbnail is created automatically with the first frame of the original video (at 1 second); you can change the thumbnail whenever you want after the encoding, in the “edit content informations” page.